Communication is the key to any success story. You have to be able to get your name out there, be seen, be heard, and most of all be remembered. In today’s society were social media and the Internet rule most communication avenues there is still a need for the tangible business card. Though there are many networking and social sites, such as Twitter, LinkedIn, and Facebook that all have the means to connect people they all lack the basic idiosyncrasy of human interaction. Being able to speak to someone face to face is an immeasurable advantage to any business. Anywhere you go and anyone you meet on a daily basis is another chance for you to communicate your message. The easiest and fastest route to getting noticed and remembered in that 20 seconds you have to throw your elevator pitch is when you say, “Here’s is my card”. Having that business card as a reference to your conversation gives both parties the ability to reconnect at a later date and time. Business cards have always been an important tool of the branding and marketing arsenal. Having this little 3.5”x 2” piece of cardstock can be the turning point of any conversation, especially if it is designed well. Graphic designers are visual communicators and are transcendent partners in the business development stages. Having a well-designed business card helps companies identify, clarify, motivate, represent, and serve the needs of the customers while representing themselves in an elite way. Your business cards should exude your personality and be creatively appealing. There are many graphical elements to consider when designing a business card; here is a list of the most important. 2. Content: what information really needs to be on the card. Name? Email? Address? You want your business card to grab someone’s attention, show your personality, and still offer important information that is easy to read. There are many different companies that offer a variety of business card services, research what you want and need first then decide which company to go with. You can even be uniquely creative and go above and beyond with your business cards with ideas such as a little plastic record for a music company, or a matchbook for a bar. The one thing you do not want to do is be plain, boring, and forgettable. 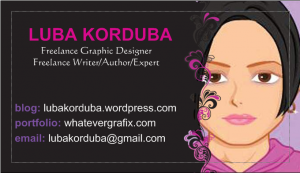 Hiring a graphic designer to design your business cards will guarantee that you will have a comprehensively thought out visual representation of your company that is sure to maximize your exposure and be unforgettable. Previous articleSomeone Hacked My Website! Next articleAre You An Entrepreneur?